When you want to simplify your daily dish routine, you need a working dishwasher. What do you do when your dishwasher breaks, or you move into a new place without one? If you don’t have the upfront funds to buy a new appliance, you might think a rent-to-own dishwasher is the only option. With Conn’s HomePlus, however, there’s a better way. Through our unique YES MONEY® program, we make it easy to find the financing you need. Keep your sink clean and your counters uncluttered by adding the luxury of a new dishwasher to your kitchen layout. Even if you’ve been turned down elsewhere, you may qualify for financing with us. Simply apply online to get an answer instantly. 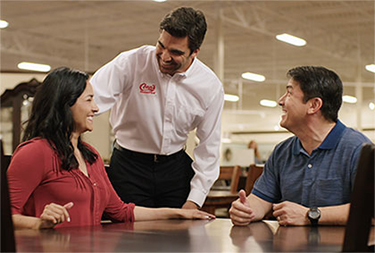 At Conn’s HomePlus, we understand that when you need a new dishwasher, you don’t want to wait. Let us help you buy the appliance you need, right away — and make your daily kitchen tasks more manageable! Before you try to navigate the confusing programs associated with getting a rent-to-own dishwasher, come to Conn’s HomePlus. Rent-to-own programs are notoriously complicated. Save yourself the trouble by going with a better option. Our YES MONEY® program makes it possible to buy the appliance you need right away, without needing to wait months for approval. Whether you have bad credit, good credit or no credit, you could be approved for financing instantly. * Just apply online. Interested in learning more about our dishwasher financing at Conn’s HomePlus? 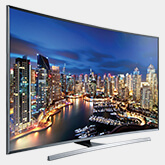 Ready to say hello to your new appliance, purchased with our unique program? 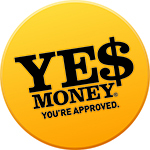 Simply apply online to get an answer instantly — and join the millions of customers who have already been approved through YES MONEY®!